“Wow- what a huge difference with my new patio-It is so beautiful and I am more than pleased with the project completed by the Hattoy’s team. 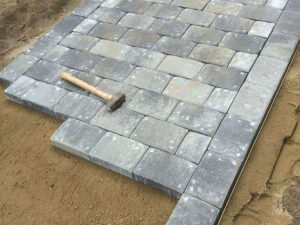 Ethan worked with me to choose pavers and look at designs- his suggestions and ideas were well presented and much appreciated- and that was the beginning! The project was finished in the scheduled time frame- work area was left immaculate every day- followed up with work status and time frames. I highly recommend if you are looking for a local professional with a great work ethic- attention to detail- and professionalism. I am looking forward to getting the furniture out and putting some beautiful potted plants around the patio!” – Lynn G.